of the Songwriters Music Series with a performance by Multi-Platinum Grammy Award-winning singer, author and actress, LeAnn Rimes. Rimes sang in front of an intimate crowd of 200 guests at the scenic William Hill Winery in Napa Valley. RAYMOND WEIL, both nationally and internationally, has created a strong presence in the arts, with a direct tie to music. A sponsor for the last four years of Brit Awards, a supporter of American Idol and recent sponsor of ELLE Women in Music, RAYMOND WEIL takes pride in the support of new and emerging artists within the music industry. Sponsoring the VH1 Save The Music Foundation was the ideal partnership with not only a strong non-profit organisation, but musical ambassadors, that all hold the same core beliefs. Founded in Geneva in 1976, the Swiss family-owned company, RAYMOND WEIL, enjoys a special position in the exclusive world of luxury watch making. A collection of refined timepieces that embody an elegant and contemporary blend of elements that inspire emotions with both customers and partners. Precision is the inspiration for the continued horological mastery that is RAYMOND WEIL . 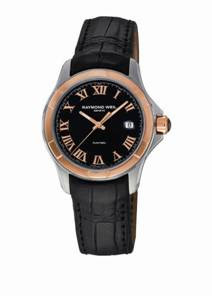 RAYMOND WEIL, both nationally and internationally, has created a strong presence in the arts, with music at the heart; evident through with the naming of their collections and with various sponsorships, including the BRIT Awards and the VH1 Save The Music Foundation. RAYMOND WEIL prides itself in aestheticism, bringing together the core elements in the excellence of Swiss luxury craftsmanship: precision, quality, reliability, nobility and technicality. The VH1 Save The Music Foundation is a nonprofit organisation dedicated to restoring instrumental music education programs in America’s public schools, and raising awareness about the importance of music as part of each child’s complete education. To date, VH1 Save The Music has provided more than $48 million in new musical instruments to 1,800 public schools in more than 100 cities around the country, impacting the lives of over 1.8 million children. The 2012 Ambassador Class - dedicated to raising awareness and funds to benefit The Foundation - includes: Jordin Sparks, Katy Perry, Gavin Rossdale, AJ McLean, Vanessa Carlton, Matthew Morrison, Daughtry and Lupe Fiasco. Get involved at www.vh1savethemusic.com and follow us on twitter @vh1savethemusic.